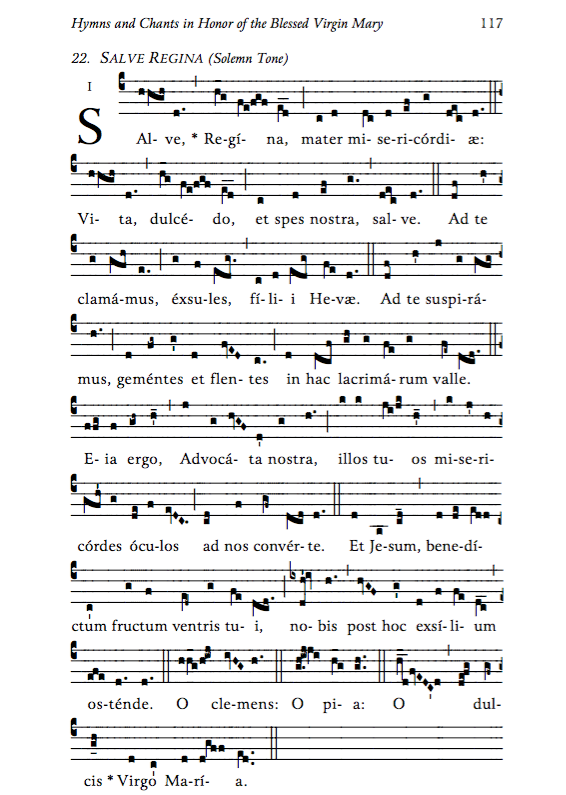 My conversion to the Catholic Church started with the joyful discovery of sacred polyphony and Gregorian Chant, while I was a teenager living in Bombay. 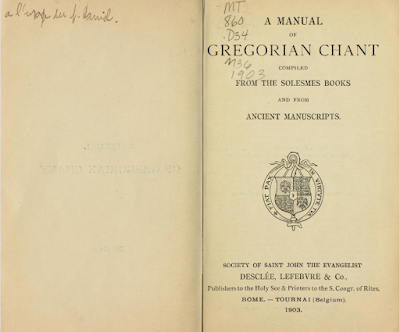 The chief means of my education in chant was a little black book I stumbled across in the library at St. Xavier's College (where I studied for five years, from 11th grade through college). 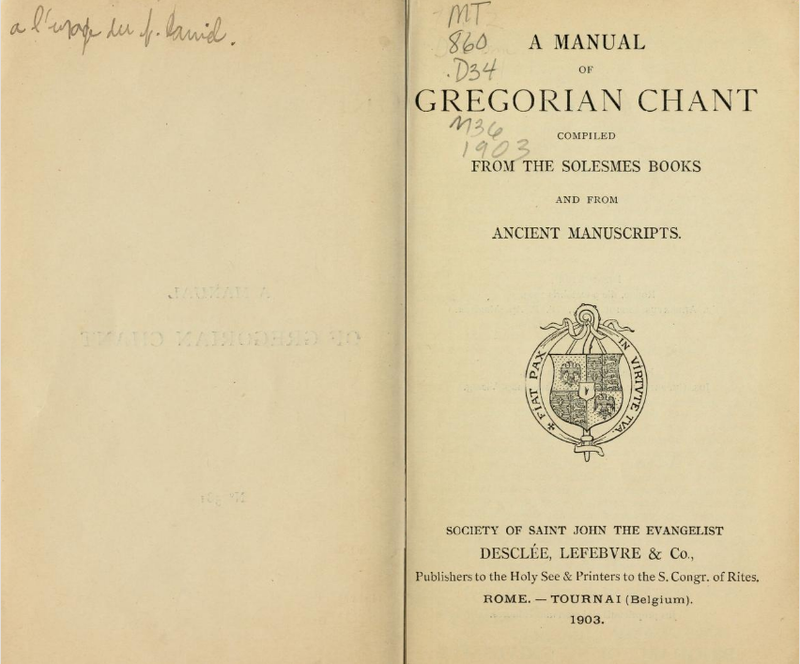 It was a 1910 edition of "A Manual of Gregorian Chant According to the Solesmes Books." 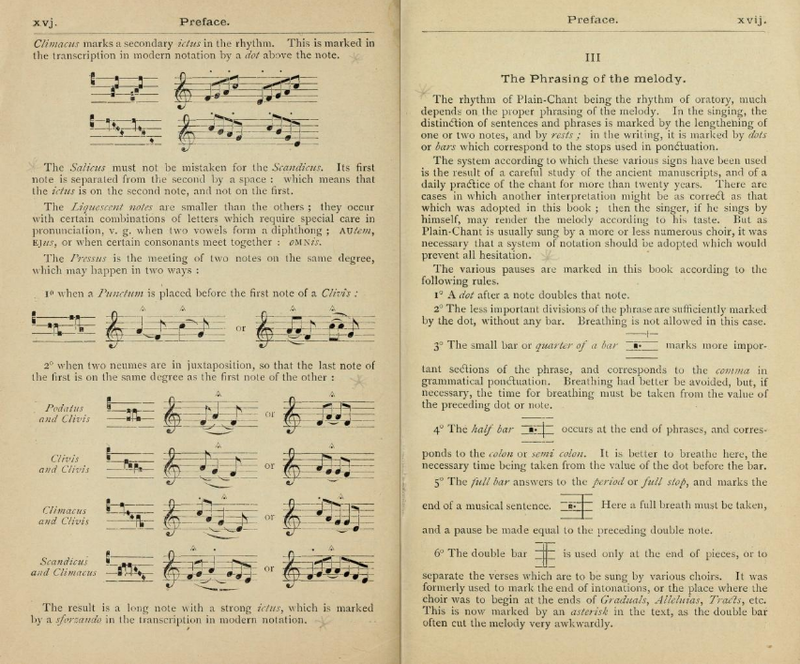 I read it eagerly, and used it to learn how to read Gregorian notation. Certain books could be checked out for a semester at a time, and I'm pretty sure, that every semester of my stay at St. Xavier's, this little book was in my possession. It was the description of Dom Gueranger in this book that was my first exposure to the Mass (along with copies of old, Latin-English pew missals, in another dusty corner of the library. These, however, were not able to be checked out, alas). The first prayer that I ever memorized, was the Gloria, in Latin. Eventually, I would end up going to the beautiful college chapel at least once a day, and pray the Gloria. I did not know any other prayers! Well, the other day I searched the interwebs to see if, perhaps, this book might still be available. And lo and behold! 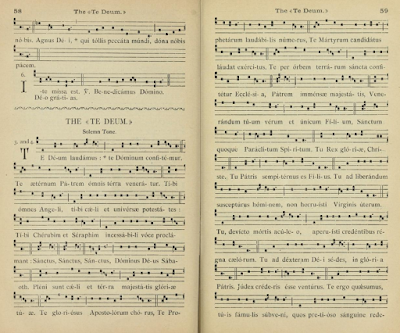 It is available in its entirety, in a 1903 printing (around the time the Motu Proprio on Sacred Music of Pope St. Pius X was published), on Archive.org! 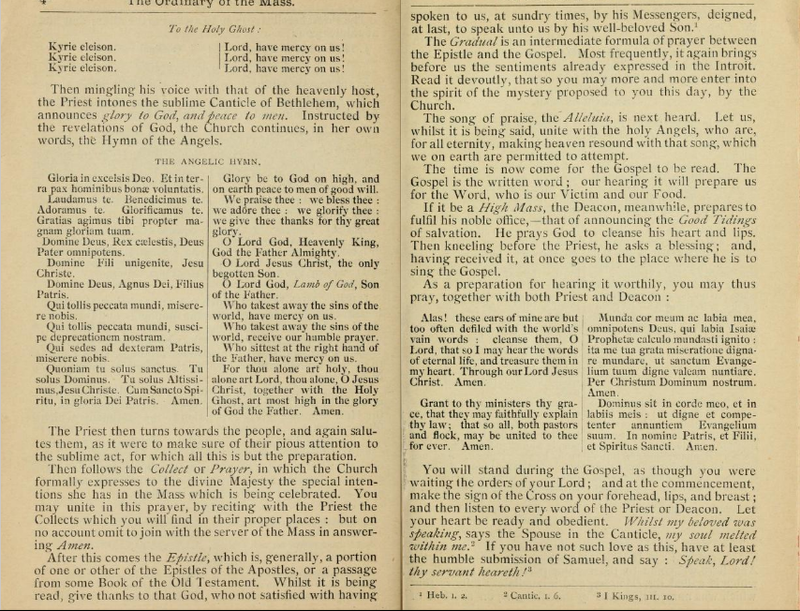 Here's a page from the text of Dom Gueranger introduction to the Mass, with the Gloria. 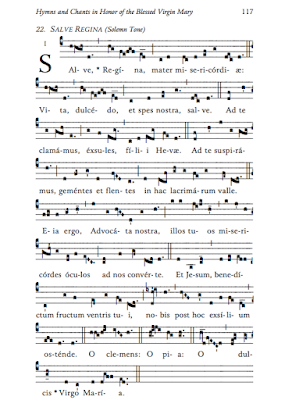 And here's two popular chants that I had memorized early on -- the Te Deum, and the solemn tone of the Salve Regina. 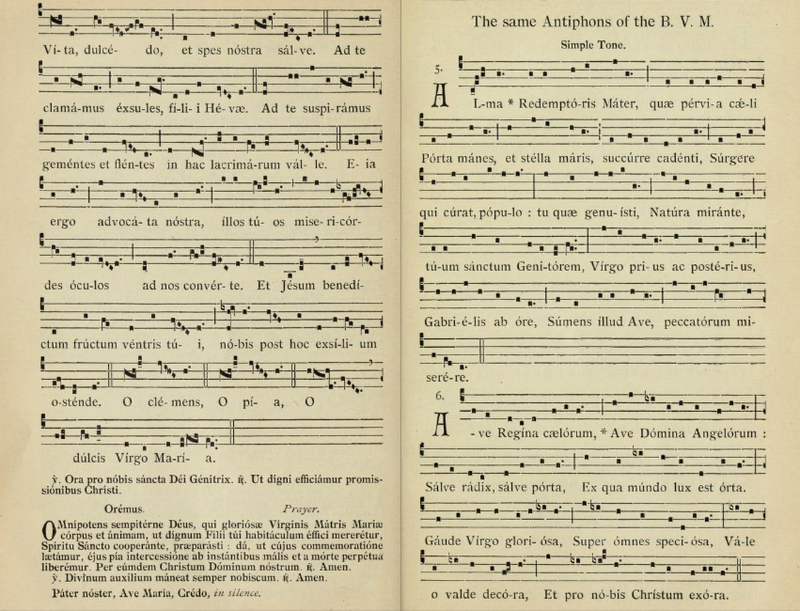 The thing is, in all my years since, I could never find the same exact tone in any later publication that I came across -- neither of the two tones for the Te Deum in the Liber Hymnarius (the hymn book for the reformed Liturgy of the Hours) is exactly the same, and the solemn tone for the Salve that I've come across in the Liber Usualis or the recently published (and excellent!) 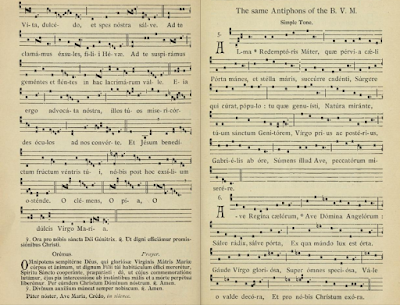 Parish Book of Chant, is not quite the same. It's great to find these tones again! 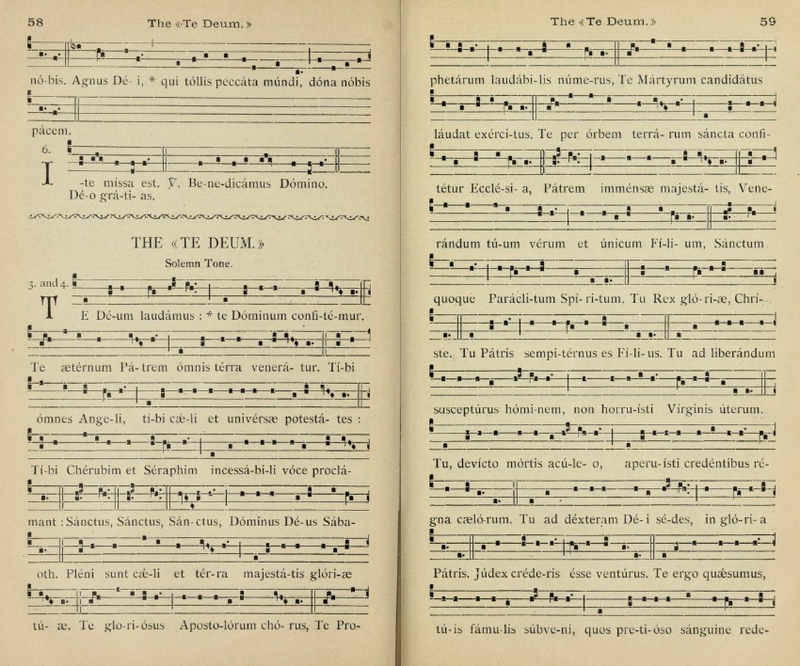 The Te Deum. 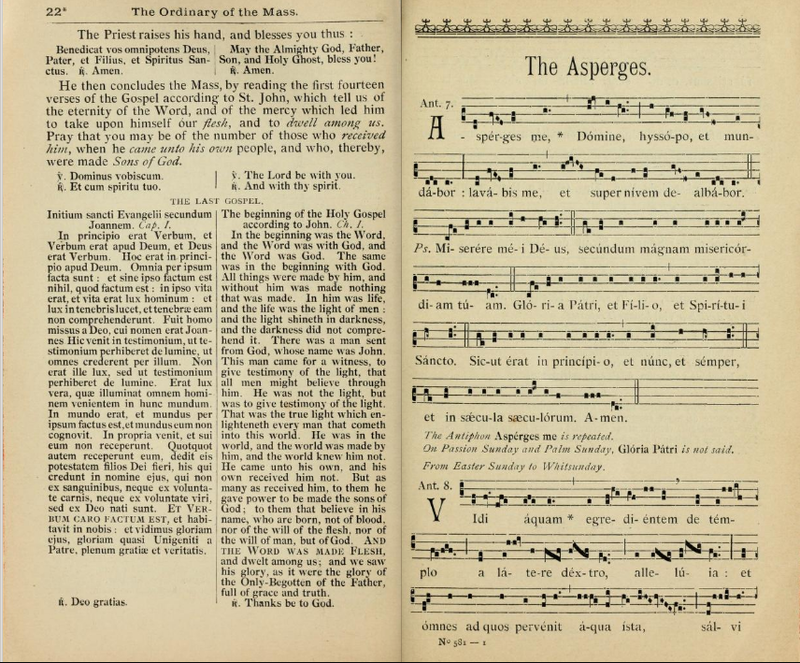 It's actually the same in the Liber Usualis, but not in the Liber Hymnarius. were enough to really trip me up when we sang this in seminary in the Latin Schola. 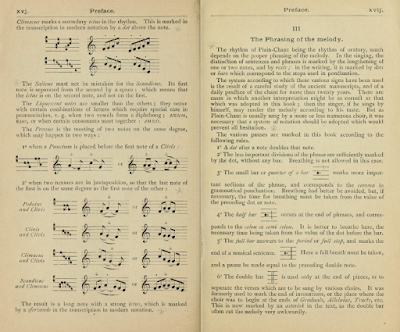 The love affair with chant, which started through this book, has only deepened over the years. 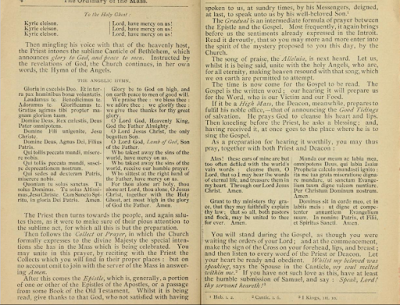 It is good to see that a few places take chant seriously, and strive to be faithful to what the Council (following Pope St. Pius X, and the thrust of the Liturgical Movement) called for. For the vast majority of Catholics however, chant is unknown. That is truly a tragedy, and has ongoing deleterious spiritual repercussions. 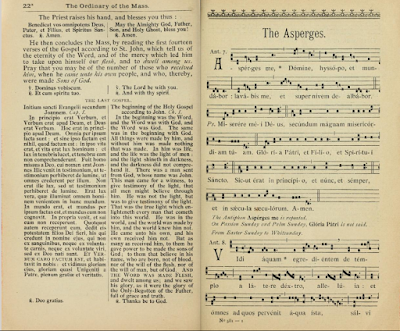 May the love for the Church's heritage of sacred music grow and find more appreciative hearts! Pope St. Pius X, pray for us! Mother Teresa wasn't really Catholic?